What's the Conflict between Faith and Reason? Is the Trinity a Contradiction? What Disqualifies Someone from Being a Christian? Is Christianity or Atheism the Virus? What Did Jesus Consider as Scripture? Beware the Thought Police Against Religion! 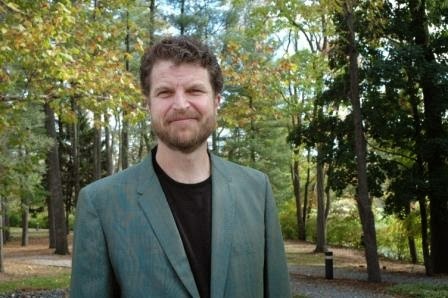 Robin Collins is the Distinguished Professor of Philosophy at Messiah College in Grantham, PA. He has done some extensive work on the fine-tuning of the universe and why the features we see point to the existence of God. Below is the core of his argument, taken from a shortened article he has made available on his web site. For more information and resources, visit him online at http://home.messiah.edu/~rcollins/. Premise 1. The existence of the fine-tuning is not improbable under theism. Conclusion: From premises (1) and (2) and the prime principle of confirmation, it follows that the fine-tuning data provides strong evidence to favor of the design hypothesis over the atheistic single-universe hypothesis. At this point, we should pause to note two features of this argument. First, the argument does not say that the fine-tuning evidence proves that the universe was designed, or even that it is likely that the universe was designed. In order to justify these sorts of claims, we would have to look at the full range of evidence both for and against the design hypothesis, something we are not doing in this chapter. Rather, the argument merely concludes that the fine-tuning strongly supports theism over the atheistic single-universe hypothesis. In this way, the evidence of fine-tuning argument is much like fingerprints found on the gun: although they can provide strong evidence that the defendant committed the murder, one could not conclude merely from them alone that the defendant is guilty; one would also have to look at all the other evidence offered. Perhaps, for instance, ten reliable witnesses claimed to see the defendant at a party at the time of the shooting. In this case, the fingerprints would still count as significant evidence of guilt, but this evidence would be counterbalanced by the testimony of the witnesses. Similarly the evidence of fine-tuning strongly supports theism over the atheistic single-universe hypothesis, though it does not itself show that everything considered theism is the most plausible explanation of the world. Nonetheless, as I argue in the conclusion of this chapter, the evidence of fine-tuning provides a much stronger and more objective argument for theism (over the atheistic single-universe hypothesis) than the strongest atheistic argument does against theism. The second feature of the argument we should note is that, given the truth of the prime principle of confirmation, the conclusion of the argument follows from the premises. Specifically, if the premises of the argument are true, then we are guaranteed that the conclusion is true: that is, the argument is what philosophers call valid. Thus, insofar as we can show that the premises of the argument are true, we will have shown that the conclusion is true. Our next task, therefore, is to attempt to show that the premises are true, or at least that we have strong reasons to believe them. Premise (1) is easy to support and fairly uncontroversial. The argument in support of it can be simply stated as follows: since God is an all good being, and it is good for intelligent, conscious beings to exist, it not surprising or improbable that God would create a world that could support intelligent life. Thus, the fine-tuning is not improbable under theism, as premise (1) asserts. Upon looking at the data, many people find it very obvious that the fine-tuning is highly improbable under the atheistic single-universe hypothesis. And it is easy to see why when we think of the fine-tuning in terms of the analogies offered earlier. In the dart-board analogy, for example, the initial conditions of the universe and the fundamental parameters of physics are thought of as a dart- board that fills the whole galaxy, and the conditions necessary for life to exist as a small one-foot wide target. Accordingly, from this analogy it seems obvious that it would be highly improbable for the fine-tuning to occur under the atheistic single-universe hypothesis--that is, for the dart to hit the board by chance. 1.For an expanded view that deals with the many-universes hypotheses, see Dr. Collins' article here. 2. Collins, Robin. "The Fine-Tuning Design Argument". Home Page of Robin Collins. This argument assumes that fine-tuning happened, something that is not evident. The whole fine-tuning argument is terrible and fails on many levels. Are you saying that the work of John D. Barrow and Frank J. Tipler did in their book _The Anthropic Cosmological Principle_ is incorrect? I believe that book is widely accepted by most in the field as the key text showing that the concept is valid.